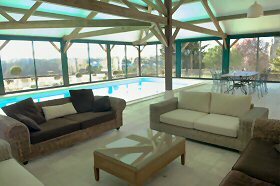 a place to completely relax." David & Andrea - West Yorkshire UK"
Welcome to our gites website. 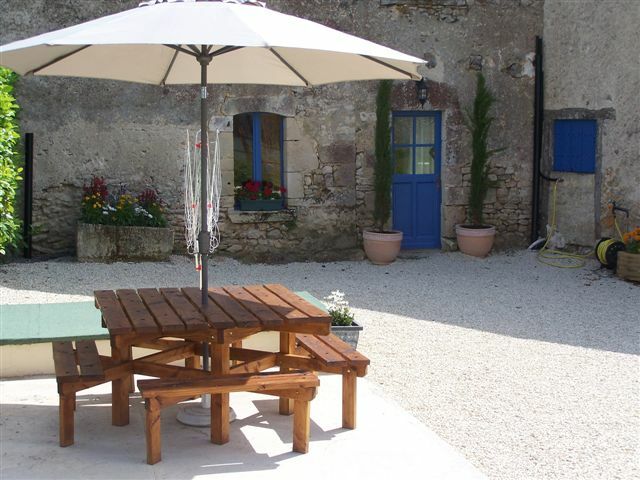 Currently we have on offer a charming two person Studio gite and La Grange sleeping six, set in the quiet rural hamlet of La Faye. 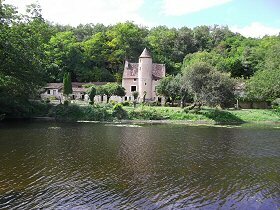 This season we are managing t other properties in the area Le Moulin de Roche situated on the banks of the River Gartempe and the latest addition in the heart of the medieval town of Chauvigny, the stunning St Pierre. Surrounded by glorious fields this peaceful and tranquil setting will provide true relaxation for any person hoping to have a break from the pressures of modern life. On our site for Le Studio Gite & La Grange is a magnificent swimming pool to use at your leisure. For the more active person there are a host of activities on offer from walking, cycling, horse riding, canoeing and fishing to exploring some of the best markets and restaurants La Vienne has to offer. With an abundance of charming historic towns and villages within easy access of the gites a visit to La Faye will supply you with a host of memories to take back home. Only 30 minutes from Poitiers Airport where Ryan Air fly from London Stanstead, Paris is accessible in 1 1/2 hours by TGV as is the beautiful coast of La Rochelle - only 1 1/2 hours away by car.
" We could write a book about how lovely our holiday has been! The studio gite is fantastic, we have been very comfortable. The area is wonderful". - Karen & David - Markyate, Herts. Near our gites, the River Gartempe with its verdured banks is one of the Vienne's most beautiful rivers. Home to an abundance of wildlife it offers a variety of activities from a quiet boat trip fishing to an exciting day out canoeing or kayaking. The river winds its way through several historic towns including Saint Savin with its remarkable Abbey which is famous for its beautiful Romanesque frescoes listed by UNESCO as a World Heritage site. For those staying in our gites with more therapeutic relaxation in mind take a trip to La Roche Posay - one of France's leading Spa towns where the curative waters are used in an array of healing, beauty and relaxation treatments that are available as single treatments or can be directed into a more personal programme lasting over a number of days. Visit en route the charming village of Angles - sur - L'Anglin with it's beautiful medieval houses, exquisite gardens, and cobbled streets all winding their way around the tranquil river Anglin - such picturesque scenery awarding this village the title of 'Prettiest village in France'. With a tradition of writing, illustrating, engraving and paper manufacturing Montmorillon is a city for lovers of literature and beautiful objects. With workshops still practising some of these ancient skills a fascinating day out of exploration is guaranteed. Enjoy just for its exquisite architecture and graceful intimate streets this beautiful riverside city with its 11th century churches and monasteries. A worthwhile bonus to your visit will be participation in some of the many local festivals and fetes which unite locals and their display of traditional music, song, dance and food with visitors to towns and villages over the summer. Our gites were once a meeting place for the resistance during the second world war. Our 18th century farmhouse combines old style character and warmth with modern comforts.